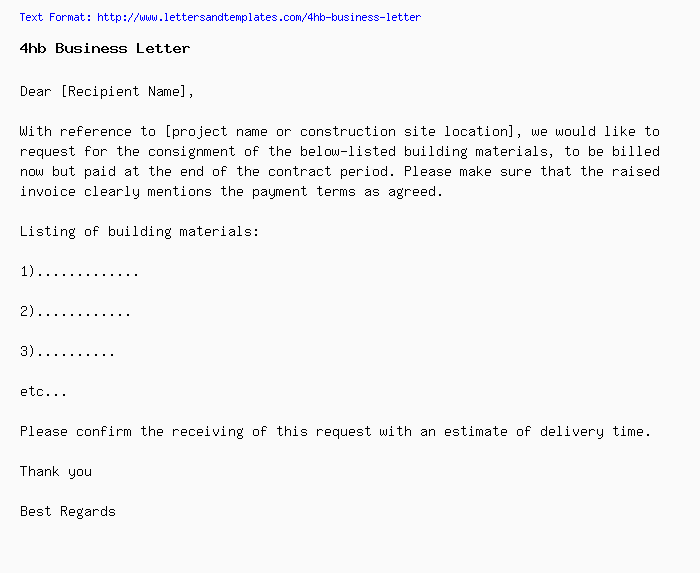 With reference to [project name or construction site location], we would like to request for the consignment of the below-listed building materials, to be billed now but paid at the end of the contract period. Please make sure that the raised invoice clearly mentions the payment terms as agreed. Please confirm the receiving of this request with an estimate of delivery time.